I am writing this post sitting in my parents living room in Israel after watching Andreea in a live appearance on Romanian TV to speak about Cutia Taranului (I’ll update this post with the vide of the interview once it becomes available). Since we launched Cutia Taranului we have been swept up by waves of goodness. All of Ildi & Levente’s boxes have found a home with families in Cluj; kind friends wrote about the project with their unique personal perspective and helped to spread the word (thank you Sam, Nora and Gina); a TV and news crew came out to inquire and help spread the word; we have been contacted by people from all over Romania asking when boxes will be available in their cities; we have been contacted by other peasants and are slowly helping them put together additional boxes (40 more boxes for Cluj will be announced in the coming days); Ildi and Levente have discovered a supportive and embracing group of customers new family amongst their fellow Romanians in Cluj; we have discovered that this country that is looked down at by other countries and too often its own citizens as being poor and corrupt is able to demonstrate qualities of trust, faith and support that have touched my heart and sent shivers down my spine … and I could probably go on and on. However there is one interesting feedback that has popped out 2 or 3 times that surprised me and I believe deserves to be addressed. There are people for whom the word „peasant” comes with negative connotations … for them peasants is equated with a simple, primitive and poor life. As a result, when we speak of „peasants delivering fresh food directly to your doorstep” these people perceive us as patronizing … as if we, the foreigners playing „little house on the Romanian prairie” are taking advantage of the poorness of peasants. In Romanian the word for peasant is Taran (spoken „tsaran”) for men and Taranka („tsaranka”) for women. The meaning of that word is not „simple, primitive, poor people who live a shabby life in a shabby house growing their own food”. The meaning of the word is „man of the earth”. The Romanian language is not particularly pleasant to my ear, it’s a fairly „functional” language, it doesn’t have the depth of Hebrew – my mother tongue. However it has this one beautiful word that simply means „man of the earth”. I look forward to earning the right to label myself as „man of the earth” and I have nothing but awe and respect for people who are „of the earth”. Romania is literally a land of peasants. It’s not an opinion, it’s not a romantic description … it is a fact. Practically half of the Romanian population are peasants. It isn’t a land of wonderous cities (it is a land where cities are basic functional creatures of necessity that rely on and support peasants). It isn’t a land of industries (however it was once the world leader in production of hemp and hemp products). It is a land of peasants. So much so that I have a feeling that when industrial forces swept across the planet during the previous century, some core quality of Romania (it’s nature?) resisted. Even now when it is under attack by unrelenting foreign financial powers, it, in its own way, is resisting change (though I am not sure it will be able to hold out much longer). Maybe this is why in many ways Romania is a „backwards” country – where the village market parking lot is packed full of horse-carriages and not cars? Maybe this is why it has historically manufactured Dacia cars which are ridiculed by the west but perfect for a land of peasants – cars that are simple, cheap, long lasting (you can see many very old cars moving around Romania) and super easy to fix for local village technicians (qualities that were for the most part lost when Dacia became ambitious about expanding into European markets). Maybe this is why Romanian population is in decline – as if preferring to fade away instead of betraying its true nature? After Andreea’s interview the show aired a story about some 40,000 euros of EU funding that, if I understood correctly, were intended to support local farming. I was amused (and slighty offended) when they used the images they shot for Cutia Taranului (at our place and at Ildi & Levente’s home) to illustrate their point. In that piece two people were interviewed, both officials who work in government agencies charged with distribution of EU funds to farmers and peasants. Both were wearing suites and ties and looked, to me, like aliens in a land of peasants. THERE, in them, I could sense a lack-of-interest at best and patronizing attitude at worst towards the „simple, poor peasants who should be grateful for the EU funds that come to their rescue”. I am so relieved and proud that we were able to establish our life in the village and to breathe life into Cutia Taranului without any EU or other public funding (which we did consider when we first set out). Call me crazy but wouldn’t it be fantastic if Cutia Taranului could reach peasants and city-dwellers all over Romania? If it could recreate a traditional and sustainable coexistence of village and city? 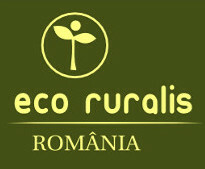 If it could remind Romanians of the natural abundance that is available to them? If it could recreate a sense of personal security (for both peasants and city-dwellers) in these unclear and unstable times? Wouldn’t it be super-awesome-cool if instead of hemorrhaging money to greedy foreign banks, Romania could softly gravitate, literally from the ground up, towards a natural economy that would enable it to get over its past mistakes (pay its debts) and keep its copper and all its other god-given natural resources?